One week ago we were worshipping with a little Christian church in Glasco, Kansas, of which in 1870, my great-great grandfather Mahlon Woodward and his wife Mary Ann were founding members. After lunch at church with people who knew my grandparents and my dad, we accidentally went to a poetry reading that had been advertised as a Smithsonian program on Kansas waterways! I suppose towns of 500 can’t be picky! Today, one week later, Sherrylee and I worshipped with the Omonia Church of Christ in Athens, Greece! Ten days or so ago, the missionaries in Athens put out a call for immediate help with their English program for refugees. Some very generous donors called us and said that they would sponsor us, if we were able to go, so here we are, getting ready to start tomorrow helping people mostly from Syria, Iraq, Iran, Kurdistan, and Afghanistan improve their English and become better acquainted with Jesus. Our international flight was via Munich, a new airport, but the same city where in 1971 two pretty clueless young newly-weds landed and began their mission journey together. We are slower than we were then, but wiser, I hope—certainly more experienced. While we have definitely changed, the world has changed also. When we left for Munich in 1971, Christians faced Iron Curtains and Cold Wars and Walls. We could just barely drive to Berlin back then, much less the Arab world. Now Christians can go to a small church building in Athens and work in the Middle East. Look around your neighborhood and tell me the world has not changed and that the nations are not coming! So we may need to work differently than we did forty-six years ago, but people are still riding around in their chariots and saying, who will help me understand what I’m reading here about Jesus. And God still uses those he has used before–regardless of their job status or age–to serve and teach Searchers. Sherrylee and I will be in Athens for three weeks, and I hope to post regularly. Pray for us—for health and strength and courage and boldness. 20% of Non-Christians Do Not Know A Christian! 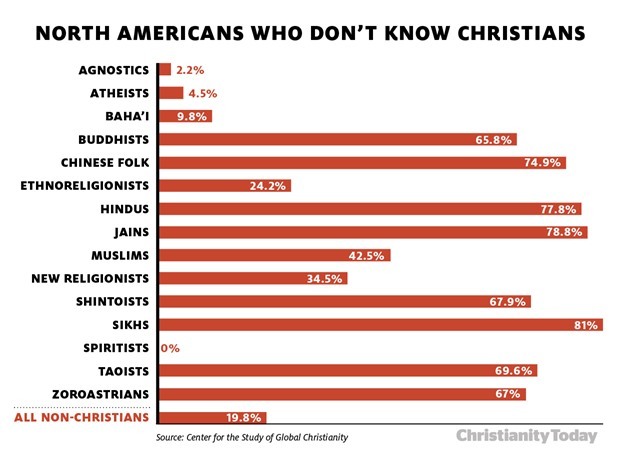 One out of five non-Christians in North America doesn’t know any Christians. That’s not in the fake-Gandhi-quote “I would become a Christian, if I ever met one” sense. It’s new research in Gordon-Conwell’s Center for the Study of Global Christianity’s Christianity in its Global Context, 1970-2020. 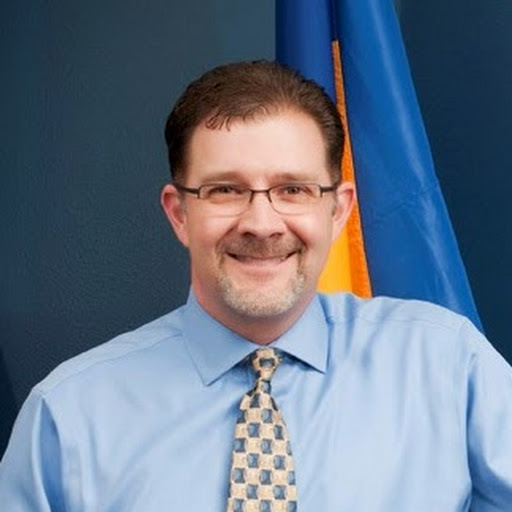 Missiologist Todd M. Johnson and his team found that 20 percent of non-Christians in North America really do not “personally know” any Christians. That’s 13,447,000 people—about the population of metropolitan Los Angeles or Istanbul—most of them in the United States. The study shows that it is not the atheists and agnostics clustered together in academia or Hollywood or the liberal unbelieving media whom evangelicals love to hate that make up the majority of those who do not know a Christian. And although Christians make up one-third of the world’s population, eight out of 10 people in the world do not know a Christian. Sherrylee and I just went to a wonderful Journey to Generosity retreat and in the opening session, we were confronted with the fact that Americans hoard much of the world’s wealth. So is it worse to be poor because we hoard our wealth—or to be LOST because we hoard Jesus?? I’m not so sure it is not the same thing if looked at from our side of the equation. 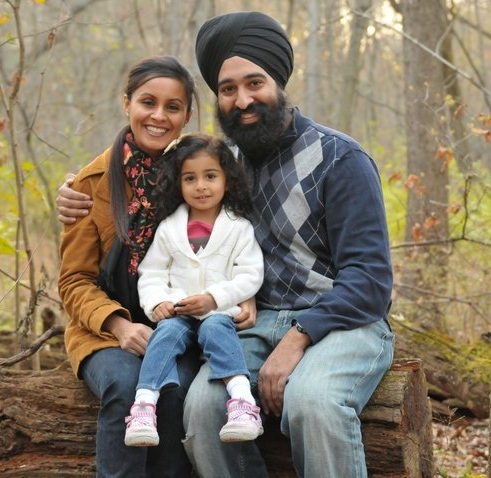 So why do you think that 79% of the Sikhs in North America don’t know any Christians? It’s not because of a scarcity of Christians; it’s not for lack of churches they could visit? Well, how many Sikhs do you know? How many Buddhists from Asia live in your community? How many Chinese? Just last week there was a Chinese couple in Wal-mart and I could tell they were searching for something that they couldn’t find, so I asked them if I could help. They were looking for that kind of ice cream with many flavors in it, so I found the Neapolitan and they were quite pleased. I wish I had been even friendlier and asked about them and . . . .who knows what might have come from a little conversation about ice cream. They might already be Christians!! But I don’t know because I didn’t take the time to even offer to get to know them. And because of that they may still be one of the many Chinese in our country who don’t know any Christians. I’ve quoted this verse before in describing the reason for the FriendSpeak program, that we offer churches through the Let’s Start Talking Ministry. But surely the convicting results of this study should make us question whether we truly believe the verse to be inspired by God—or not! Immigrants are in North America for the same reason you are—because God decided exactly when and where they would live. And Paul says the reason that he put people in the same place was so that they could find Him! It’s not just “foreigners” who cluster in ghettos. Christians do too! What could you do to reduce the number of people who don’t know a Christian? Make a point to speak to people of other origins in public places. 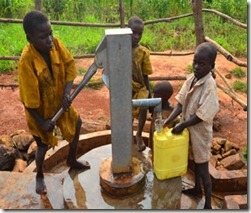 Find meaningful service projects to join or to launch in ethnic ghettos. Adopt an international student from a local university! Host a Thanksgiving meal at your church and invite the immigrant community nearest you, specifically! Inquire about beginning a FriendSpeak ministry at your church (www.friendspeak.org) and volunteer to be a part of it. 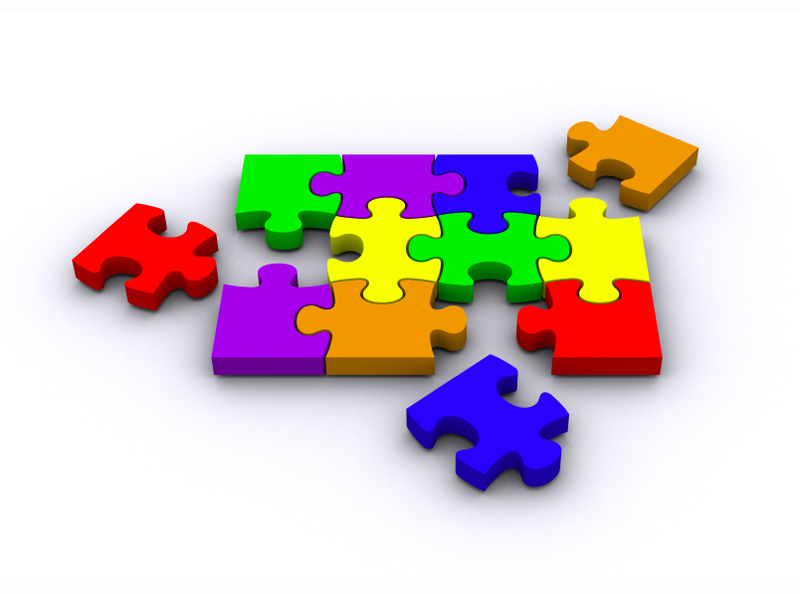 Strategic Planning: Part 5 – What Does All This Information Mean? This series might be called a series of “reality posts” since we are following LST in real time through its strategic planning process. To see earlier posts, go to the Categories drop down box and find the Strategic Planning Series. As I reported in the last blog in this strategic planning series—which was about 90 days ago—LST sent out over 9000 surveys to all its different constituencies in order to help us know how to plan for the future. We received about 15% of the surveys back and if each survey averaged 50 questions, then we are talking about approximately 70,000 bits of information for us to analyze. A good online survey tool like www.surveymonkey.com will make the task much easier. A good tool itself provides some basic analysis of the captured data. The data analysis must be presented in both table and graph forms. You need it in both because different people in your organization process information differently. Your accountants will love the tables with all their numbers, but your public relations people will often understand the graphs much faster. Your board members will likely have different ways of processing information as well. Filters should be available to further refine the data. For instance, in LST’s Donor Survey, we asked “Have you personally done LST either out of the country or through FriendSpeak?” This question would seem to require a simple Yes or No, and would result in a percentage of Yes’s and No’s, but because of other questions that we asked, we could find out how many men vs. women said yes, how many of those who said no contributed over $100, and much more. Your online tool must allow for sorting and filtering your bits of information. The demographic questions you build into your survey are the second big factor in making your information easy to understand. You only get out of a survey what you ask! Have you ever done LST? How many non-profits do you support? What has been your single largest contribution to LST? What prompted your most recent contribution? What these questions have in common is that they are going to provide sorting and filtering categories for all of the remaining questions in the survey. Inevitably, you will discover that you failed to ask one demographic question that you really needed to ask. We got all of this information back but realized that we could not separate our regular donors to our general fund who have given to us perhaps for years from those donors who had only given once to support a particular worker, often one of their family members. The difference between these two types of donors is huge—and we simply failed to ask the one right question that would allow us to separate them in our analysis. And, finally, you are going to need to let many eyes look at the results if you truly want to understand what your surveys are saying. We gave all of our staff and all of our board members complete access to all of the raw data online, so that they could see everything, sort and filter the numbers as they wanted to, and then we asked for them to tell us what they saw as well. One tip: you can be more open with the data if the surveys themselves are anonymous. Next, we’ll talk about actually beginning to draft the strategic plan. This series might be called a series of “reality posts” since we are following LST in real time through its strategic planning process. To see earlier posts, go to the Categories drop down box and find the Strategic Planning Series. Be sure and take the poll at the end of this blog post. According to our planning schedule, March and April were to be given to gathering information from LST’s different constituencies, a task that sounds easier than it is. Were we going to subdivide workers into campus workers, church workers, and FriendSpeak workers, sending each group different questionnaires? What about donors who have only given to workers as opposed to those donors who support the ministry directly and regularly? Should we send to church leaders whose congregations send one team a year or restrict it to those who send multiple teams? Should those surveys go to the preacher, an elder, the LST coordinator, or someone else? We settled on five different surveys: Workers, Donors, Sending churches, Host sites, and FriendSpeak workers. We chose to use Surveymonkey.com which would let us ask demographic questions and then sort any single survey for comparison. Reports can be broken out of just one survey of workers that would allow us to compare church workers with campus workers, for instance. Then we had to compose the questions. That was a process also: first drafts, followed by second and third drafts, questions scratched for ambiguity, redundancy, and other horrible reasons, then new, more pointed questions added. After all the revisions were halted, the draft surveys were sent to some “testers” to see if the questions were clear, if they were understood as intended. The tests resulted in a whole round of further revisions based on suggestions from the testers. Finally, almost a month after starting the project, the surveys were ready to go out—but then it took another week getting the right email lists in place and, in the case of the sending churches especially, determining who should receive the survey, then getting their email address. We sent out 9,943 surveys! 650 emails bounced with bad addresses; 265 people opted out of the survey, but that meant there were still 9028 good emails. We received about a 15% return rate on these surveys, which is pretty good, but we had to send out two reminders to get this result. Our last group to survey is the staff. Several weeks ago, we set aside April 18 as staff workshop day. That was today! Today was the day, we met from 10 – 3pm to gather information. But I’ll tell you about this meeting in the next SP post. Before you leave, I’d love to ask YOU for input, so here is a simple but a real question that is surfacing. Help us know what people think by participating in this simple poll. It will take 30 seconds to answer and will be a help to us! And, you’ll be able to see the results from the blog poll immediately. Strategic Planning and Ministry: Part 1 – Are They Compatible? Strategic planning for a faith-based organization raises different questions and . . . well, I just don’t think it looks the same as strategic planning might look for a for-profit enterprise of the same ilk. About 18 months ago, the board members of Let’s Start Talking brought up the idea of developing a strategic plan. Just now, we have begun the process, and even getting to this point was not without some pain. For the next nine months, I will be working on this, so I thought it might be helpful to some of you to share the process with you. Why go to the trouble and expense of doing a strategic plan? As you probably know, my wife and I founded Let’s Start Talking in our living room 33 years ago. LST was first organized as a ministry of a local congregation, answering directly to the elders of that church. In this start-up phase, the ministry had no employees, no regular donors, and no plan for the next year except to meet the needs that were placed in front of us, which for LST meant, recruiting students and training them to go with us on short-term mission trips at the invitation of a handful of European churches with which Sherrylee and I had a relationship because of our previous mission work in Germany. By the end LST’s first decade (1980-89), we were taking about 50 students, who raised all their own money plus enough to cover the small cost of organizing the projects, training the workers, and overseeing them in the summer. Financially, we were a zero-sum organization, starting each year at zero and finishing each year at zero. The only plan was to recruit enough workers to do the work that God had placed in front of us. LST mushroomed in the 90s, going from 50 workers to over 300. The breakup of the Soviet Union generated a huge desire among Christians to share the Gospel in these many countries where Communism had attempted to suppress and eradicate faith. But no one spoke these many languages, so LST’s strategy which involved working in English but was also direct evangelism became one of the most successful ways to work. LST, which one couple could manage in the 80s, now needed to become much larger. The strategic plan was the same as it had been, i.e., to recruit more workers to meet the greater need! As we recruited more workers, we generated more income, so we hired one office assistant and one recruiter. As the numbers grew, we added first volunteer office help, then hired office help, so that by the end of the 90s, we had 12-15 employees. The ministry was growing to meet the need. But the dimension and scope of LST’s work was creating some issues. The 150-member congregation that had provided our legal status and oversight for almost 20 years decided that we were too big now and that the liability was bigger than the church wanted to take on. God had a big change in front of us! And what was my plan for the ministry?? To continue to recruit more workers to meet the growing number of invitations from mission sites—now all over the world. But to do that among Churches of Christ, we needed a sponsoring church. In 1999, a Fort Worth mega-church assumed our oversight, organized us into a Texas non-profit, and generously supported the ministry. But, of course, in this new arrangement, LST was required to have a board of directors. Now after another decade, LST has continued to expand into China and the Muslim world, the budget has doubled in size, and the ministry is now an independent non-profit. LST now sends out more church members than college students and the funds all workers raise only cover about 70% of the annual budget, so outside fund raising is a necessity. All of these changes have been pretty dramatic! What was our strategic plan that got us through these changes? To continue to recruit more workers to meet the vast need of the world to hear the story of Jesus! Planning is a way of letting other people know what I believe God wants to do with LST. Planning is an opportunity for people to look objectively at the ministry and make helpful suggestions. Planning can suggest new ways of measuring outcomes that might be helpful. Planning is good for donors who want to see measurable steps toward measurable goals. Planning helps board members perform their duties better because they have a better definition of ministry activities and goals. Planning should help us anticipate potential changes and prepare better for them. Planning may force me as Executive Director to define both the vision and the means more precisely than I am inclined to do otherwise. Next I want to talk about the search for a consultant/coach to help us work through the strategic planning process.